An appeal of a $34.7 million class-action case won by more than 1,500 auto body shops against the Hartford was to be heard by the Connecticut Supreme Court Tuesday, according to the Connecticut Law Tribune, which has highlighted it in a series featuring “important or interesting” proceedings. The case, Artie’s Auto Body, Inc. et al. v. The Hartford Fire Insurance Company, was initially decided in 2009, when a jury ruled in favor of the Connecticut shops and awarded $14.7 million, according to the Law Tribune. See the Hartford Courant’s report on the verdict here. Superior Court Judge Trial Referee Alfred Jennings awarded a punitive $20 million in 2013, roughly 1.35 times the jury award, ruling that there were more mitigating factors going against the Hartford than against it. Among these, according to Jennings, was that the Hartford only had a 6 percent market share — which he noted could mean the rest of the industry who hadn’t been caught could keep doing what the Hartford was doing. Punitive damages are typically in the range of 1 to two times the compensatory damages, according to Jennings. Artie’s and the hundreds of other body shops alleged that the Hartford was “steering” customers to its network of cheaper repair shops and wouldn’t pay higher rates than those in the network in violation of the Connecticut Unfair Trade Practices Act (CUTPA), according to the Law Tribune. However, the jury found nothing wrong with Hartford’s business practices except for pressuring appraisers to return lower estimates in violation of a law saying appraisers, all of which are licensed by the state, must be impartial, according to the Law Review. Jennings also noted a violation could be also found if it’s in a penumbra, defining it as “a vague, indefinite, or borderline area” of the law. 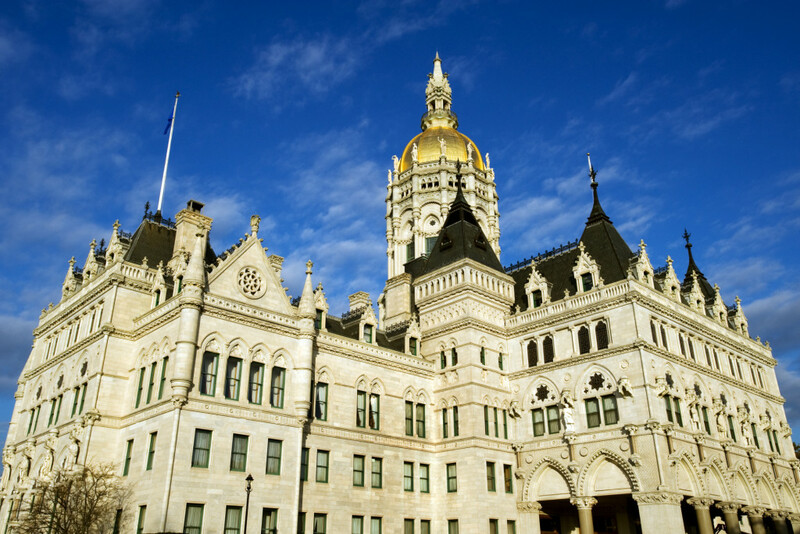 The insurer also argues that the court should have used Federal Trade Commission guidelines meant to replace the “cigarette rule” and that Hartford couldn’t have violated CUTPA anyway as its actions weren’t prohibited by the Connecticut Unfair Insurance Practices Act. Hartford also argues that Jennings abused his discretion with his $20 million punitive damages. The Law Tribune seemed to indicate the case would hinge on the FTC-“cigarette rule” factor, so Repairer Driven News will take a closer look at it. Doesn’t have a greater benefit to competition or customers. CUTPA does state that courts should be guided by FTC rules when determining unfairness, a point the Hartford makes in its appeal. “It is difficult to see how the Court can be ‘guided by’ federal law while still embracing its abandoned rule,” attorney Wiggin and Dana LLP wrote for the Hartford. However, Jennings ruled that this language doesn’t require the court to do so, and he cites other cases which indicate the “cigarette rule” still stands in Connecticut. He also noted that Legislature hasn’t acted to change CUTPA despite the FTC unfairness policy and law changes that have been going on since 1980. “Should the Court proceed beyond this threshold issue, there are compelling legal and public policy reasons briefed in detail below … why the standard should not be changed from the cigarette rule to the more restrictive and far more vague substantial injury test,” shops’ attorney Hurwitz, Sagarin, Slossberg & Knuff LLC wrote. Though the case will be heard today, there’s no telling when a ruling from the Supreme Court will occur. an August 2014 Law Tribune report found its average through most of the 2013-14 term was 136 days from argument to decision. We’ll keep an eye on the case, so continue to check Repairer Driven News for updates.